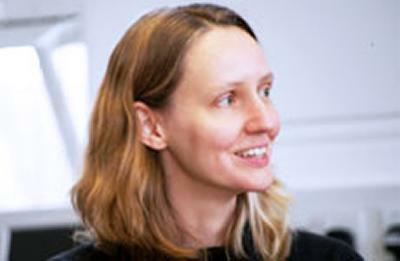 Dr Lisa Bernasek is a Senior Teaching Fellow in Modern Languages and Linguistics at the University of Southampton. I have a background in Social Anthropology with a focus on Middle East and North African Studies and expertise in Arabic and French. My PhD (Harvard, 2007) research focused on the collection, exhibition and circulation of North African art and material culture in state museums and North African-run cultural sites in Paris. I have worked in Modern Languages and Linguistics since 2007 as a Research Fellow, an Academic Coordinator, and a Teaching Fellow. From 2010-12 I was the Academic Coordinator for the Higher Education Academy's Islamic Studies Network. I have taught within Arabic, French Studies, and Islamic Studies, and am currently the convener of the Curriculum Innovation Programme module 'The Arab World (in and) Beyond the Headlines'. My main areas of research are in ethnographic approaches to the languages and cultures of the Middle East and North Africa and their diasporas in Europe, particularly France and the United Kingdom. I am especially interested in topics related to Berber communities in North Africa and Europe; Islam and Muslims in the West; material culture, museum collections, and the politics of representation; and colonial and post-colonial history and anthropology. Bernasek, L., & Bunt, G. (2010). Perspectives on Islamic studies in higher education. Perspectives: Teaching Islamic Studies in Higher Education, 1, 18-23. Bernasek, L. (2009). Middle Eastern studies in the UK. Subject Centre for Languages, Linguistics and Area Studies Good Practice Guide. Bernasek, L. (2008). Teaching Arabic: the view from the US. Liaison Magazine, (1), 33-35. Bernasek, L. (2005). Imazighen! Beauty and artisanship in Berber life. Ornament, 28(3), 52-55. Bernasek, L., & Thompson, J. (Ed.) (2004). Unveiling the Orient, unmasking Orientalism: Sophia Poole's Englishwoman in Egypt. Cairo Papers in Social Science, 23(3), 50-79. Bernasek, L. (Ed. ), Miller, S. G., Burger, H. S., & Craig, M. (2008). Artistry of the Everyday: Beauty and Craftsmanship in Berber Life. Cambridge, US: Peabody Museum of Archaeology and Ethnology. Bernasek, L. (2010). “First Arts” of the Maghrib: Exhibiting Berber culture at the Musée du Quai Branly. In K. E. Hoffman, & S. G. Miller (Eds. ), Berbers and Others: Beyond Tribe and Nation in the Maghrib (pp. 171-194). (Public Cultures of the Middle East and North Africa). Bloomington, US: Indiana University Press. Bernasek, L. (2009). Secularism and the 'Muslimisation' of north Africans in France. Parkes Institute Seminar Series, United Kingdom. Bernasek, L. (2006). The taste for Moroccan arts in Paris, 1917-2006. Paper presented at Middle East Studies Association Annual Conference, United States. Bernasek, L., & Bunt, G. (2010). Islamic Studies provision in the UK. Bristol, GB: Higher Education Funding Council for England. Bernasek, L., & Bunt, G. (Eds.) (2008). International approaches to Islamic studies. Bristol, GB: Higher Education Funding Council for England. Auda, J., Bernasek, L., Bunt, G. R., Canning, J., Gilbert, J., Hussain, A., ... Subject Centre for Languages, Linguistics and Area Studies (2008). International approaches to Islamic studies in higher education. Bristol, GB: Higher Education Funding Council for England. I am the convener of the Curriculum Innovation Programme module 'The Arab World (in and) Beyond the Headlines' and am developing a further module and teaching in this area. I also provide training for Postgraduate Research students across the Faculty of Arts and Humanities, and contribute to managing this area of work. I have been working with colleagues in Modern Languages and Linguistics on the HEA-funded Ethnographic Encounters Project to develop the academic dimension of the residence abroad using ethnographic methods and digital tools. I am involved in postgraduate supervision for students with an interest in Arabic or the Arab world, and would be particularly interested in sociolinguistic or ethnographic projects in this area.